Like a little spice with your appetizers? 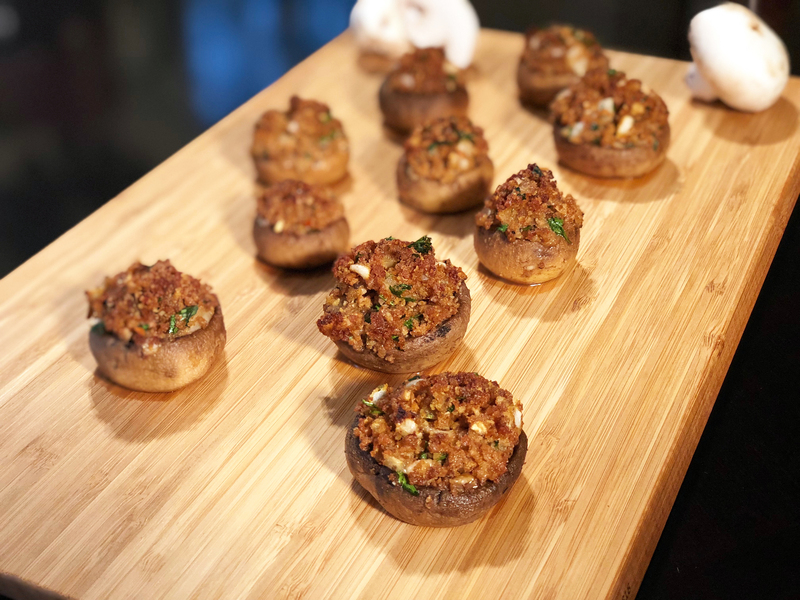 If you’re looking for protein-packed bites of goodness full of flavor and texture, try these delicious, Spanish-inspired chorizo-stuffed mushrooms. 1. Preheat your oven to 400°F. In a medium skillet, cook your sausage link until browned and firm, turning over to evenly brown. When the chorizo is cooked, cut it into small coins and put them in a food processor, then pulse until chopped finely and set aside. 2. Remove the stems from your mushrooms, then mince half of them into small pieces and set aside. Brush your mushroom caps with one tablespoon of olive oil, place on a baking sheet and then set aside. 3. In a large skillet over medium-high heat, add 1/3 cup olive oil, minced mushroom stems and onions. Cook for two to three minutes until soft, then add the bread crumbs, tossing and stirring to toast until brown. 4. Add in your minced chorizo, parsley and chicken stock and fluff with a fork. Stir in your Manchego, then use a spoon to fill your mushrooms with the stuffing mixture, filling them a little extra to make a mound on top. 5. Bake in preheated oven for 20 to 25 minutes or until stuffing is golden brown. Serve warm. 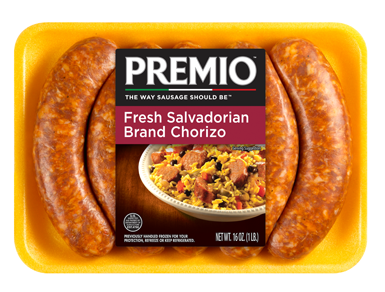 Love the spicy flavor of our delicious Chorizo? 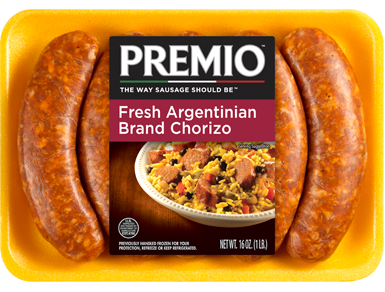 You’re sure to enjoy our real Italian sausage and other world sausage flavors. 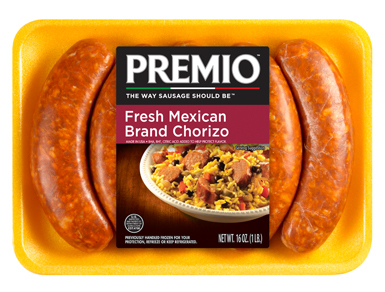 Try them all today when you search for Premio products in a store near you.